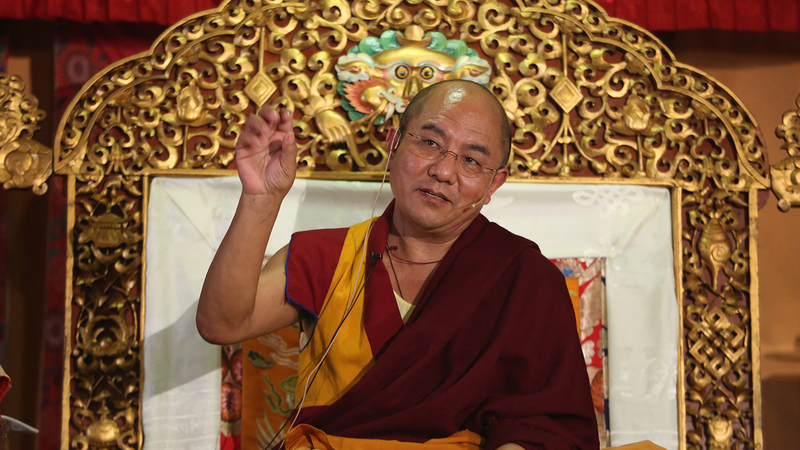 On December 12, 2017, Khenpo Sodargye Rinpoche was invited by Thegchok Ling, Lausanne, to give a Dharma talk on Guru Yoga, the foundation for all teachings and practices. Khenpo explained the appropriate procedures in following the guru, including when and how to view the guru as a real Buddha. Khenpo talked about the uniquely powerful blessing of Guru Yoga for enlightenment, and gave some special instructions in particular to the audience of the Yogi laypersons on understanding the nature of mind by contemplating empty space, a pith instruction Khenpo seldom gave to average people. For further information on this talk, please click here.